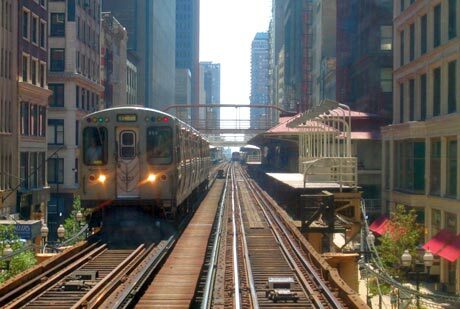 IN THE LOOP: Chicago Metro users will be able to use NFC to buy tickets. Pic: © Jeremy Atherton, 2006. Public transportation users in Chicago and Washington DC will be able to use their NFC phones to purchase tickets in the coming years, the cities’ transportation authorities have announced. New York is also to get contactless transit cards — but it is not yet known whether NFC phone payments will also be supported. The Chicago Transit Authority (CTA) is currently testing an NFC mobile ticketing solution that will work on both trains and buses, in partnership with its fare collection contractor Cubic Transportation Systems, the CTA has told NFC World. Testing is being conducted with a limited number of the NFC devices currently on the market. No date has yet been set for when the service will go live but “an announcement could come later this year,” the CTA says. In Washington, a US$184m contract has been awarded to Accenture by the Washington Metropolitan Area Transit Authority, to upgrade its existing fare payment system. The new system will widen payment options from Metro’s existing contactless SmartTrip cards to include NFC mobile payments, EMV chip-enabled bank cards and federal government ID cards. “The new technology will provide more flexibility for accounts, better reliability for riders and real choices for customers to use bank-issued payment cards, credit cards, ID cards, or mobile phones to pay their Metro fares,” says Metro general manager and CEO Richard Sarles. The system will be built using the Accenture Fare Management Solution and Accenture will test the new solution at ten Metrorail stations, aboard 50 Metrobuses and in two parking lots. Some 2,000 Metro riders will be selected to participate in the pilot. In New York, the Metropolitan Transportation Authority (MTA) is to go live with a replacement for its current MetroCard system in 2019. The new ticketing system will use contactless NFC or RFID cards, produced and distributed by a third party, and is designed to save the MTA money as well as eliminate swipe errors.